Many local Cincinnati buyers and sellers are “over thinking” the local real estate market. Some buyers are thinking about writing a contract on the home they saw yesterday and while they think about “it” somebody has already made an offer. March Madness impacted weekend open houses and some showings but as soon as a new listing hits the MLS- showings and offers are happening very quickly. 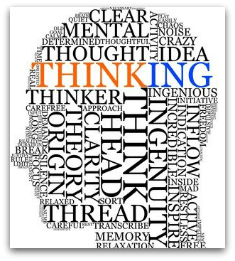 Too much thinking and to slow to act can produce frustrated buyers and happy sellers. Median prices on both single family homes and condos rose in the majority of the townships below- not bad considering the lack of homes/condos for sale continues to drag the local real estate market down. Data pulled from the Multiple Listing Service of Greater Cincinnati shows that potential buyers have 7455– single family homes and 1276 – another small increase in the numbers 0f single family homes and condos available since the last township report. The pending sales may be down slightly but the overall dollar volume and average sale prices continue to rise slightly. Slower growth is probably better than the wild ups and downs that drove the real estate market down the tubes 5 years ago. Each area has unique characteristics so if you are thinking about listing your home in the near future -make sure to get a detailed analysis for your niche-so you can price it right and sell it quickly. Ready to start house hunting or market your property now-Click here to to Call: 513-300-4090,by email .